Where do you go for local news, opinion and gossip? Pepper Parr’s online “Burlington Gazette” was often the go-to place. I say “was” because the Gazette “is” no more – according to its latest headline…. This version of the Burlington Gazette is dead. Someone else will have to fight the good fight. 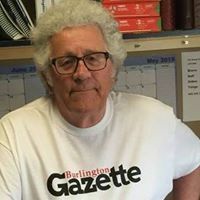 Regrettably, there’s no story beyond the terse message that “the Burlington Gazette is dead” – just readers speculating and commenting about its demise. Those moderated comments need to be approved for posting. Presumably, Pepper is lurking in the background with his hands on the editorial controls. Why the silence? That would be very uncharacteristic of Pepper. Two years later, that tribute to his valuable role as a dedicated volunteer and community observer still rings true, and louder. This isn’t another CHCH TV closing up shop, then re-opening with reduced staff and a new focus. Pepper is the Gazette. Perhaps, the Gazette will rise yet again. But is this another hiatus? Or, is it a much-deserved retirement? Will someone else pick up the Gazette’s torch? Time will tell. And I’m confident Pepper will too. *** UPDATE *** After posting the above, and as expected, Pepper revealed what was behind his decision to shut down the Gazette…. Readers ask – … is there not some way to continue the endeavour? *** ANOTHER UPDATE *** Stop me if you’ve heard this one before. Pepper now claims the Gazette is not dead – despite what he told everyone in a headline. It’s just resting. Click on the following link for more…. Spectator columnist makes us look better than we are – but thanks – there is more to come on this story. This entry was posted in Burlington, Halton by Brian Heagle. Bookmark the permalink. Very sad indeed. Journalism, it’s been said, is the oxygen of democracy.